Once again, this character is created based on Wayfarer: Things Beyond Wonder, which I reviewed previously. Game: Wayfarer by Ill Gotten Games. 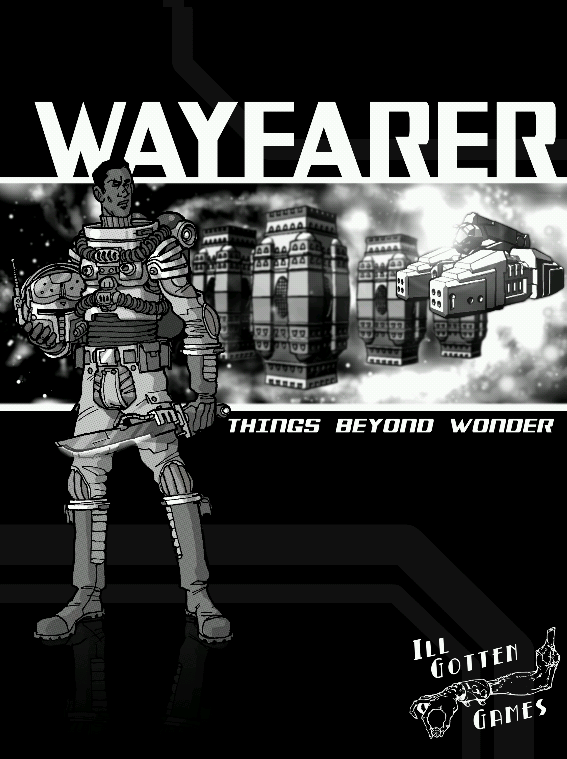 Books Needed: Wayfarer: Things Beyond Wonder. Recommended Setting: Any starting adventuring group. 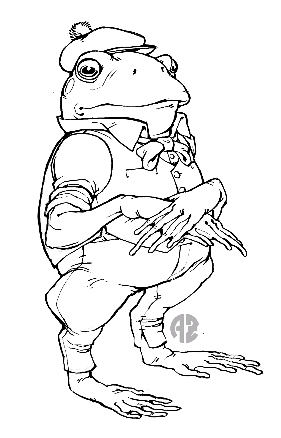 Perhaps this character ended up getting lost or accidentally left behind during an attack on those they were guarding and met up with the party. 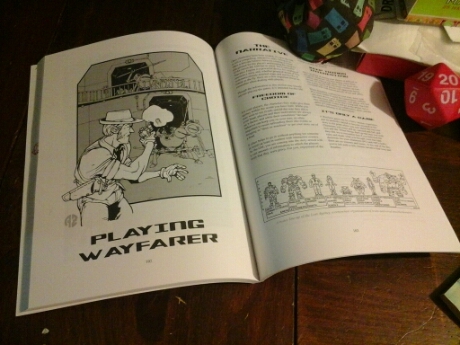 Since I recently posted a review for Wayfarer: Things Beyond Wonder, and because I needed a break from my string of Rifts characters, I figured I should test out the character creation process! What better excuse than Toon Tuesday? I found the process itself to be pretty streamlined; it took me 40 minutes (not counting breaks between my toddler’s naps) and everything was fairly easy to find in the book – though I had read the text beforehand. I did not use completely random generation (as is an optional feature during creation), since I started with a vague idea that just took on a life of its own as I continued. The Tricks (kind of like Feats) are an especially interesting part of this character, as his size factored heavily into my selections. This was very entertaining and easy to write up, I’ll have to start my own campaign for it soon to test the game play. Recommended Setting: Recommended to any average adventuring group who needs a brawler/melee combat specialist. 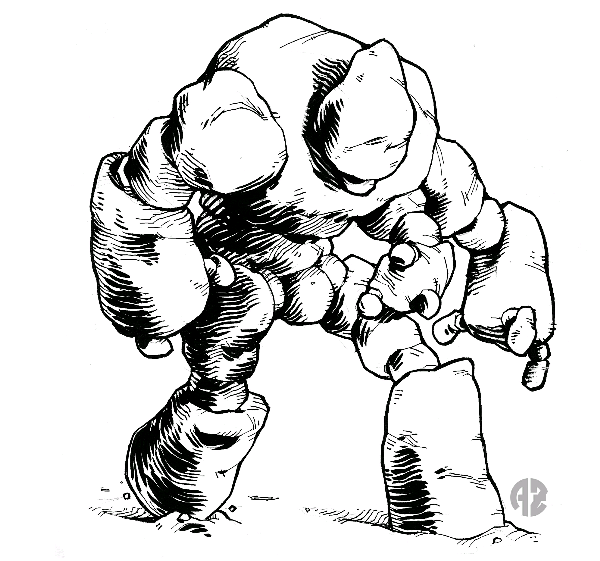 Though he would be better suited to a fantasy campaign or a Tech Level of 5 or less, he could still function in a higher level/sci-fi environment, he’d just be a bit out of his depth. He would be unsuited allied with evil-doers.